Karafuto Prefecture, commonly called South Sakhalin , was the name of the Japanese territory on southern Sakhalin island from 1905 to 1945. The Korean language is an East Asian language spoken by about 77 million people. It is a member of the Koreanic language family and is the official and national language of both Koreas: North Korea and South Korea, with different standardized official forms used in each country. It is also one of the two official languages in the Yanbian Korean Autonomous Prefecture and Changbai Korean Autonomous County of Jilin province, China. Historical and modern linguists classify Korean as a language isolate; however, it does have a few extinct relatives, which together with Korean itself and the Jeju language form the Koreanic language family. The proposal that Koreanic in turn belongs to the largely discredited Altaic language family is no longer supported by academic research. Korean is agglutinative in its morphology and SOV in its syntax. 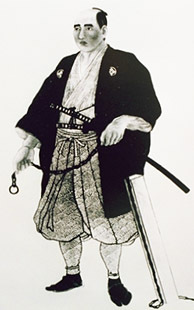 Mamiya Rinzō was a Japanese explorer of the late Edo period. The Treaty of Saint Petersburg between the Empire of Japan and Empire of Russia was signed on 7 May 1875, and its ratifications exchanged at Tokyo on 22 August 1875. In August 1945, after repudiating the Soviet–Japanese Neutrality Pact, the Soviet Union invaded Karafuto. The Soviet attack started on August 11, 1945, three weeks before the surrender of Japan. The Soviet 56th Rifle Corps, part of the 16th Army, consisting of the 79th Rifle Division, the 2nd Rifle Brigade, the 5th Rifle Brigade and the 214 Armored Brigade,  attacked the Japanese 88th Infantry Division. Although the Soviet Red Army outnumbered the Japanese by three to one, they advanced only slowly due to strong Japanese resistance. It was not until the 113th Rifle Brigade and the 365th Independent Naval Infantry Rifle Battalion from Sovetskaya Gavan landed on Tōro, a seashore village of western Karafuto on August 16 that the Soviets broke the Japanese defense line. Japanese resistance grew weaker after this landing. Actual fighting continued until August 21. Between August 22 and August 23, most remaining Japanese units agreed to a ceasefire. The Soviets completed the conquest of Karafuto on August 25, 1945, by occupying the capital of Toyohara. In 1945, with the defeat of Japan in World War II, the Japanese administration in Karafuto ceased to function. 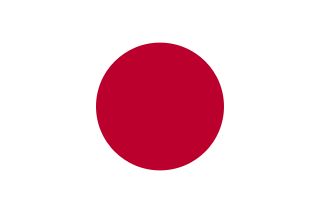 [ citation needed ] The Japanese government formally abolished Karafuto Prefecture as a legal entity on June 1, 1949. [ citation needed ] In 1951, at the Treaty of San Francisco, Japan was coerced and renounced its rights to Sakhalin, but did not formally acknowledge Soviet sovereignty over it. Since that time, no final peace treaty has been signed between Japan and Russia, and the status of the neighboring Kuril Islands remains disputed. The pre-war economy of Karafuto was based on fishing, forestry and agriculture, together with extraction of coal and petroleum. In terms of industry, the paper industry and the charcoal production industry was well developed. Karafuto suffered from a labor shortage through most of its history, and tax incentives were provided to encourage immigration. During World War II, a large number of Koreans were also forcibly relocated to Karafuto. An extensive railway network was constructed in Karafuto to support the extraction of natural resources. The Karafuto Railway Bureau(樺太鉄道局,Karafuto Tetsudōkyoku) maintained 682.6 kilometers of track in four main lines and an additional 58.2 kilometers of track. Karafuto was administered from the central government in Tokyo as the Karafuto Agency(樺太庁,Karafuto-chō) under the Colonization Bureau(拓務局,Takumukyoku) of the Home Ministry. The Colonization Bureau became the Ministry of Colonial Affairs (拓務省,Takumushō) in 1923 at which time Karafuto was officially designated an overseas territory of the Empire of Japan. ↑ Krebs, Gerhard (1997). "31. Japan and the German-Soviet War". In Wegner, Bernd. From peace to war: Germany, Soviet Russia, and the world, 1939–1941. Berghahn Books. p. 551. ISBN 1-57181-882-0. ↑ Sevela, Marie. "Sakhalin: The Japanese Under Soviet rule". History Today, Vol. 48, 1998. ↑ Steven Ivings: Recruitment and coercion in Japan’s far north: Evidence from colonial Karafuto’s forestry and construction industries, 1910–37, in: Labor History, Vol. 57 (2016), No. 2, pp. 215-234. Sakhalin Oblast is a federal subject of Russia comprising the island of Sakhalin and the Kuril Islands in the Russian Far East. The oblast has an area of 87,100 square kilometers (33,600 sq mi). Its administrative center and the largest city is Yuzhno-Sakhalinsk. Population: 497,973. Besides people from other parts of the former Soviet Union and the Korean Peninsula, the oblast is home to Nivkhs and Ainu, with the latter having lost their language in Sakhalin recently. Sakhalin is rich in natural gas and oil, and is Russia's second wealthiest federal subject. It borders Khabarovsk Krai to the west and Hokkaido, Japan to the south. Subprefecture of Japan are a Japanese form of self-government which focuses on local issues below the prefectural level. It acts as part of the greater administration of the state and as part of a self-government system. Shikotan, also known as Shpanberg, is an island which is administered by the Russian Federation as part of Yuzhno-Kurilsky District of Sakhalin Oblast, and that is claimed by Japan as part of Nemuro Subprefecture of Hokkaido Prefecture. 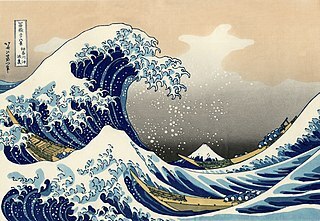 Russia recognised Japanese sovereignty over the island in the 19th century. In September 1945, during the final days of World War II, the island was invaded by 600 Soviet troops. It is one of the islands which the Soviet Union agreed in 1956 to transfer to Japan in the event of a peace treaty between the two countries. The name of Shikotan derives from the Ainu language and means "the village proper" or "real town". Chishima Province was a province of Japan created during the Meiji Era. It originally contained the Kuril Islands from Kunashiri northwards, and later incorporated Shikotan as well. Its original territory is currently occupied by Russia, and its later territory was renounced in the San Francisco Treaty except the southernmost four islands. The Karafuto Fortress was the defensive unit formed by the Karafuto fortification installations, and the Karafuto detachment of Japanese forces, the 88th Division. The headquarters was in Toyohara, capital of the province, based on the Suzuya plain, in the Southern Karafuto area, not far from the ports of Otomari and Maoka. Kiri no Hi (霧の火) is a Japanese television drama which originally aired on Nippon Television (NTV) on August 25, 2008. Directed by Nozomu Amamiya and with a screenplay by Yō Takeyama, it starred Etsuko Ichihara and Karina Nose. 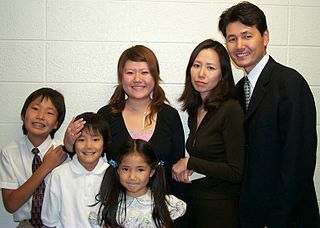 The production won a TV Drama Award at the 2008 Festival of the Arts of the Japanese Agency for Cultural Affairs. Sakhalin Railway was a subsidiary of the Russian Railways from 1992 until 2010, when it was made part of the Far Eastern Railway. The evacuation of Karafuto (Sakhalin) and the Kuriles refers to the events that took place during the Pacific theater of World War II as the Japanese population left these areas, to August 1945 in the northwest of the main islands of Japan. The 87th Rifle Corps was a rifle corps of the Red Army during World War II and the Soviet Army in the early years of the Cold War. The Soviet assault on Maoka was carried out at the port of Maoka, Southern Sakhalin during August 19-22, 1945, by the forces of the Soviet Northern Pacific Flotilla of the Pacific Fleet during the South Sakhalin Offensive of the Soviet–Japanese War at the end of World War II. It was the second amphibious assault on South Sakhalin, after the Soviet assault on Tōro on August 16. The Invasion of South Sakhalin, also called the Battle of Sakhalin, was the Soviet invasion of the Japanese territorial portion of Sakhalin island known as Karafuto Prefecture. The invasion was part of the Soviet–Japanese War. The 88th Division was an infantry division in the Imperial Japanese Army. Its call sign was the Essential Division. It was created 28 February 1945 in Toyohara It was a triangular division. The divisional backbone was the Karafuto mixed brigade. The Northern Pacific Flotilla was a flotilla of the Pacific Fleet of the Soviet Navy between 1939 and 1945, with its main base at Sovetskaya Gavan in the Soviet Far East. 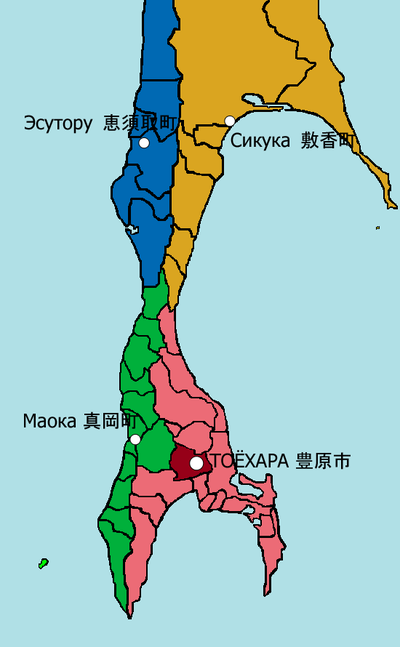 Karafuto Prefecture, commonly called South Sakhalin, was the Japanese administrative division corresponding to Japanese territory on southern Sakhalin island from 1905 to 1945. Wikimedia Commons has media related to Karafuto .